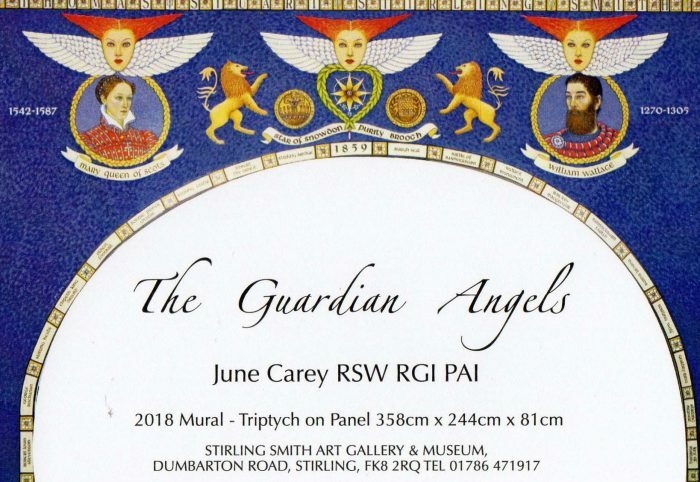 June Carey RSW – The Guardian Angels. A New Mural. “The Guardian Angels” is the second mural commissioned by the Stirling Smith Art Gallery & Museum. It was installed on the 16th August 2018 and can be seen from inside, above the entrance to the Museum. The first mural “A Heavenly Gift” was installed above the entrance to the main gallery in 2014. Both murals face one another and are part of the Museum’s permanent collection.